Building on the performance of the previous PowerKord range, PowerKord-100™ features eight separately-insulated woven conductors wrapped around a heavier gauge central earth core, which gives the cable a lower impedance and improves the efficiency of the woven design. We find that connecting your equipment with PowerKord-100™ delivers a sound that is fuller, more detailed and more open and natural... but don't just take our word for it! Fit one to your to your CD player, turntable or integrated amp and assess for yourself the improvements it can make (our money-back guarantee gives you 60 days to try it out!). Progressing from the established Kimber woven cable design used in earlier PowerKords, PowerKord-100™ features a much thicker earth, more than twice the size of previous models. 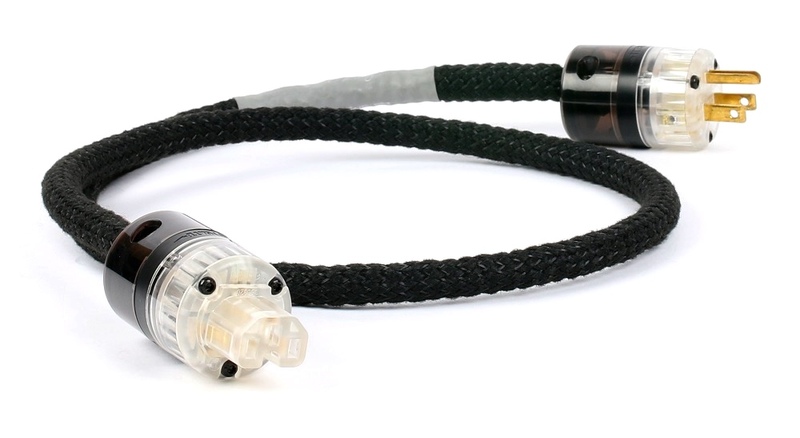 In our opinion, a good, low impedance earth is critical for achieving a rich, natural sound. The larger gauge earth also serves to expand the woven cable. We call this our new wide-format woven geometry. Finally, the PowerKord-100™ is encapsulated in an improved Noise Reduction sleeving. The sleeving uses a combination of two strand thicknesses to achieve flexibility and a softer, more tactile feel to the cable. Most Hi-Fi and Home Cinema components - such as your CD player or integrated amp - are fitted with a standard 10A IEC (kettle type) socket. For these, choose the W320 EVO IEC fitted here. If you are fitting your cable to one of our PowerBlocks™ or UltraPurifiers™, you'll need to choose the Wattgate W320iHC IEC. We offer a number of additions and treatments to take the performance of your PowerKord™ to the next level. To find out more, click on the icons above right. Don't forget! We are so confident in the performance of this product that it is covered by our 60 Day Home Trial with Money Back Guarantee. Buy the product and if you're not completely satisfied, you can return it within 2 months for a refund. For full details click here.